Hey there friends! 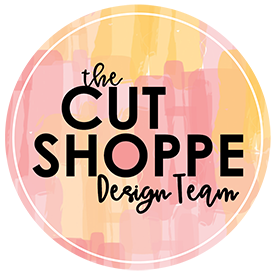 I’m back today with a new layout for my Guest Design spot with Spiegelmom Scraps Shop. I knew I wanted to use the Sweet Summer Vibes Sequin Mix as soon as I received my sequin package! I knew the colors in the sequins would match the Pink Paislee Summer Lights Collection perfectly, and I’m in the mood to scrapbook photos that remind me of warmer weather! March in Northern Indiana has been especially cold, and I am ready for warmer weather to arrive! I started with one of the Summer Lights Patterned Papers and used one of the Free Cut Files from the Spiegelmom Scraps Shop. I then backed that cut file with white cardstock that I sprayed with a pink Shimmerz Paints spray. I also added white lines using the Carta Bella Welcome Home Stencil with white modeling paste behind a few of the circles. I wanted to create a few shaker pockets to fill with sequins. I used metal circle dies, the cover sheet for one of my Cricut Cutting Mats, and my sewing machine to create the pockets and I dumped a generous amount of the Sweet Summer Vibes Sequins into each pocket. I positioned my photo behind the largest circle. This photo was taken in 2013 on a vacation to Grand Haven, Michigan. We were relaxing at the beach and watching Aidan play in the sand. It was so relaxing…just listening to the water…sitting under the umbrella…it really was just a perfect time! After I had the main elements (my photo and the shaker pockets) positioned, I moved on to embellishing! I scattered the Pink Paislee Summer Lights Cardstock Stickers, Chipboard Thickers, and Ephemera around the page. I tried to evenly spread the colors and dimension to help your eye dance around the layout. I added my journaling using the We R Memory Keepers Typecast Typewriter on a sheet of white cardstock that I spritzed with the same pink Shimmerz Paints Spray. I then cut the journaling into strips and added it to the remaining empty circle. Now you can take a look at my YouTube Process Video that shows how this layout came together! Thank you so much for spending part of your day with me and remember to head to Spiegelmom Scraps to check out all of the items in the shop! Use the code KellyJ15 to receive 15% off your order during the month of March!